Welcome to Feldman & Lopez P.A. Feldman & Lopez, P.A. is a boutique law firm located in the heart of South Florida. Feldman & Lopez, P.A. was established in 2015 by a young female team of insurance experts, eager to provide Floridians with high quality civil and insurance litigation services. This boutique firm offers state-wide professional services to all residents of Florida and their assignees, personalized to meet every one of their clients’ needs. 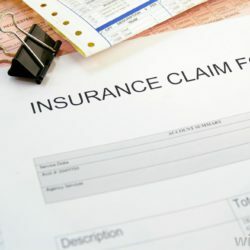 Feldman & Lopez has a wide range of expertise in handling all post loss claims for their clients who have the appropriate coverages under their homeowner insurance policy. In addition, the firm handles all aspects of water and/or mold remediation claims and the invoices that go along with them based off validly executed assignment of benefits. In an age where the insurance industry rules our pocket books, rest assured that Feldman & Lopez will protect your rights and benefits when your insurance company tries to wrongfully deny or underpay your property damage claims. The friendly and approachable professional staff at Feldman & Lopez take the time to relieve the stress often suffered by homeowners with proper insurance coverage from facing an inappropriate claim denial or claim underpayment. 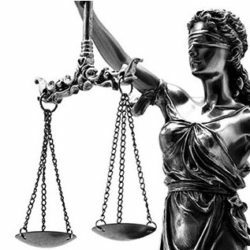 Feldman and Lopez works with their clients and their representatives to achieve successfully litigated outcomes. Where there is warranted recovery, Feldman & Lopez will deliver. Any client of Feldman & Lopez can rest-assured their matter is being well looked after. The firm has implemented the latest information and technology systems to ensure their client’s matters are handled effectively and efficiently. Their experienced legal team takes care of all claim requirements, including working with homeowners, public adjusters, water mitigation teams to make sure they are not being taking advantage of the insurance industry’s unfair trade practices and dealings. Feldman & Lopez, P.A. specializes in the recovery of all covered losses for first party and/or third-party claims under a Florida homeowners’ insurance policy. Too often Florida consumers carrying valid homeowners’ insurance throughout the State are paying out of pocket for damage caused by sudden and accidental losses. Feldman & Lopez, P.A. protects its clients from all insurer unfair trade practices that have become more and more prominent as carriers try to hold on to their client’s premiums. We specialize in litigating such claims to a successful resolution and maximizing recovery against oftentimes recalcitrant insurance carriers. Per Florida Statute 627.428, as soon as a lawsuit is filed against the insurance carrier, in the event the insured prevails, the insured is awarded reasonable attorney’s fees and costs. In other words, if Feldman & Lopez, P.A. does not recover any money on your case, there will be no fee. Similarly, if we do recover monies on your claim, our fees are paid directly by your carrier. It is truly a win-win situation. If you have any losses within the last 5 years that you feel should have been covered by your insurance carrier or have any questions regarding coverage on a claim, call Feldman & Lopez today for a free consultation!